Dispelling the notion that extremely successful people attain success because they make it happen –through their own smarts, tenacious drive, willingness to hustle and, good old-fashioned hard work, Gladwell points out that there are many extremely intelligent, highly gifted, hardworking people for whom success has been an elusive mistress. Therefore, the common dogma of “You are the author of your own destiny. You make your own success.” does not apply in many cases. In this book, Gladwell asks us to shift our focus from what successful people are like, to where successful people come from. He argues that one’s culture, family background and upbringing play a significant role in the makeup of a high achiever. Clear, witty and intelligent, Outliers offers a new perspective on what it takes to achieve extreme success. Granted, success does rely – to a great extent – on individual effort. However, what should not be ignored is the degree to which outside factors, such as people and circumstances, affect a person’s success or failure. Therefore, we (as a society) have the ability to help shape people’s lives, and (if directed in the right way and with the best intentions) for the better. This entry was posted in heatherfromthegrove, inspiration, lessons learned, literati, non-fiction, other musings, spirituality, visionaries, philanthropists & sheer brilliance and tagged Bill Gates, Blink, books, circumstances, Heather Joan Marinos, Heather Marinos, heatherfromthegrove, heatherfromthegrove's non-fiction spotlight for today: "Outliers: The Story of Success" by Malcolm Gladwell, high achievers, Malcolm Gladwell, non-fiction, Outliers, success, summer reading, The Beatles, Tipping Point. Bookmark the permalink. 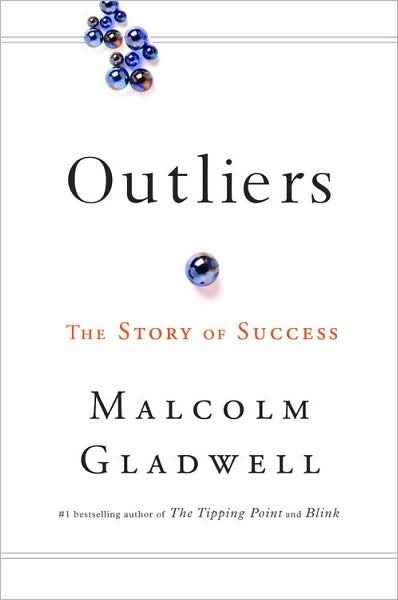 “Outliers” sounds like a great book, and I love non-fiction so I’m now interested! I’m currently reading “One American Woman Fifty Italian Men” by Lynne Ashdown, http://lynneashdown.com/, and I can’t put it down. It’s a really great read, I’d highly recommend it! Thanks for the post and suggestion! Thanks for reading my post and for the book recommendation!